Beginning March 1, 2012, Madison Avenue West will be re-opening our nrewly renovated Skincare Room! 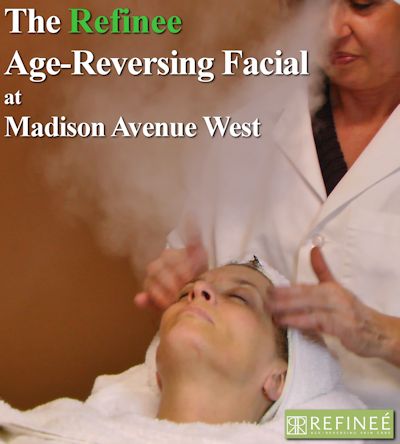 We will be offering a variety of Facial Treatments using the finest quality products from Refineé Anti-Aging Skincare by Sormé of Beverly Hills. This remarkable, innovative Skincare line truly is a fusion of modern scientific ingredient technology and natural botanicals that renew, brightens and smooths your skin while stimulating collagen production. Formulated with their exclusive PEP-SYN™ COMPLEX, Argireline®, DERMAXYL®, and Matrixyl 3000®, these products help reconstruct the deepest skin layers and activate your skin's natural DNA to increase cellular repair. Their Award-Winning Anti-Aging Eye Treatment stimulates cell communication and promotes the repair of age-related skin damage. The Argireline® in Refinee Line Stop is a powerful peptide (Acetyl Hexapeptide-3) that helps inhibit the formation of the "Snare Complex" to help prevent the formation of new wrinkles and keep skin tone firm. A complete menu of all available Skincare Treatments and Facials will be available on this page, so check back again soon! 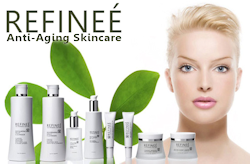 For more in-depth information about Refinee Skincare, click here or on the image to your right. Treat yourself to our Complete Age-Reversing Skincare Facial, and not only will you feel relaxed and pampered, you will see and feel immediate, lasting results. Your skin will feel smoother, softer and firmed, and you will notice a diminishing of fine lines and wrinkles, a reduction in under-eye dark circles, and brighter, more youthful looking skin. Your facial begins by softening your skin with warm towels applied to your face and neck, followed by a thorough cleansing with either Refinee Nourishing Daily Cleanser or Refinee Exfoliating Fruit Cleanser, depending on your skin type. A steady stream of steam will be directed onto your face during your entire facial, so your skin will stay warm and moist. After cleansing, Christine, your esthetician, will massage your face and neck to relax you and loosen up the skin and muscles in your face. After your facial massage, Refinee Micro-Derma Peel will be applied to slough off dead skin cells and rough spots, deep clean your pores, diminish discolorations, and brighten your skin. Your skin will then be steamed again with warm towels, and cleansed again to remove dead skin cells and residual micro-crystals. Next your skin will be toned with Refinee's alcohol-free Soothing Floral Toner, formulated with Rose Water, Cucumber, and powerful antioxidants from Pomegranate Extract, closing down pores while calming your skin. 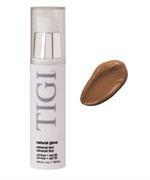 Refinee Anti-Puff Eye Gel to remove puffiness and diminish dark circles. 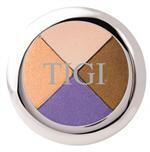 Refinee Anti-Aging Eye Treatment with Dermaxyl peptides to soften visible lines and wrinkles. Refinee Line Stop with PEPSYN™ COMPLEX delivers high levels (10%) of absorbable, clinically proven Argireline®, the powerful anti-aging peptide that helps inhibit the process that creates wrinkles. Refinee Intensive 'C' Serum to deliver super potent, stable 10% Vitamin C to help boost collagen production and visibly improve tone, texture and radiance. When your treatments have been fully absorbed into your skin, Refinee Firming Mineral Moisture Cream will be applied, this formlation of exclusive Marine algae peptides from the Hawaiian ocean in bio-fermentation technology help stimulate the synthesis of the key ingredient that surrounds collagen and elastin fibers in your skin, making it firmer and more hydrated than before. 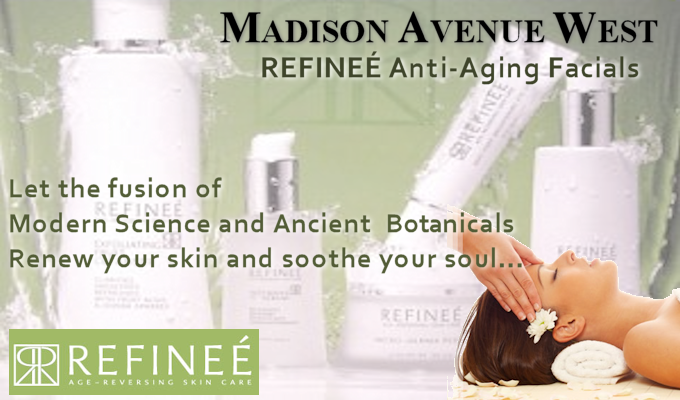 You will also be given a full size jar of Refineé Age Recovery Cream with PEPSYN™ COMPLEX (a $66 value) which delivers a high concentration of clinically proven dual peptide Matrixyl® 3000 to help stimulate collagen production and protect the cellular matrix for maximum anti-aging repair benefits. Refinee Age Recovery Cream should be used every night before bed for optimal, age-reversing effects.